25th Anniversary of Nepal AOTS was celebrated on Friday, 29 July 2016 by observing various programs throughout the day. 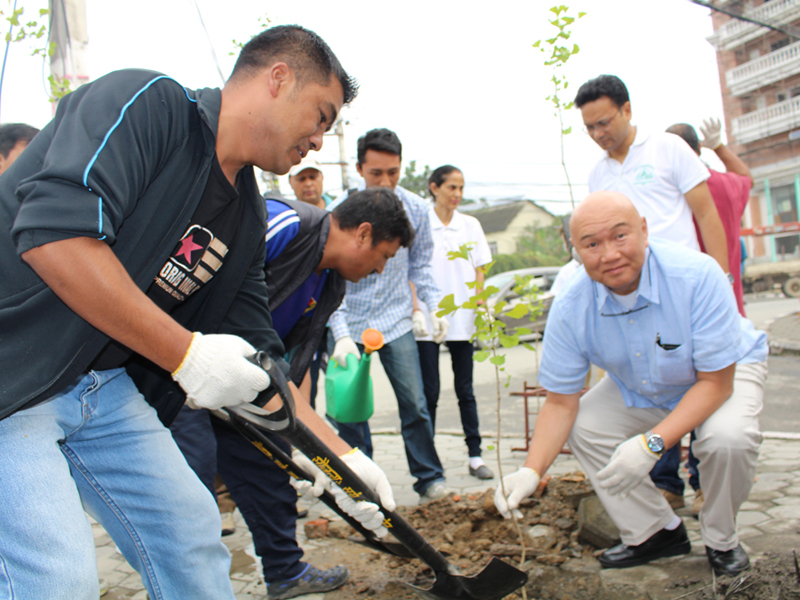 A special tree plantation program was carried out in the morning of Friday, 29 July 2016 at Lazimpat road, Kantipath in coordination with Lazimpat Club. 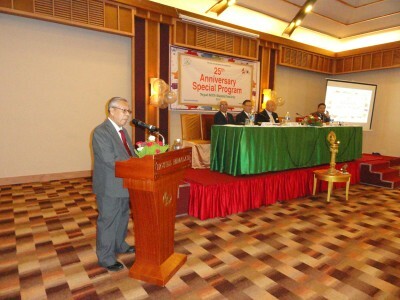 The event was participated by Mr. Joji Tateishi, Sr. Managing Director, HIDA, Japan, Mr. Akira Kuriyama, Representative, HIDA, New Delhi Office and Dr. A.K.M. 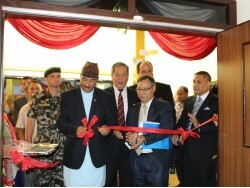 Moazzem Hussain, Advisor, Nepal AOTS, BAAS, and CAAS, along with Madame Hussain, representatives from Embassy of Japan in Nepal, JALTAN, and Nepal AOTS Advisors and members. 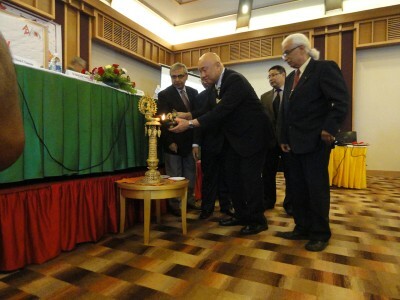 A presentation on Flashback on 25 years of Nepal AOTS was made by Nepal AOTS Adviser Prof. Dinesh Chapagain. 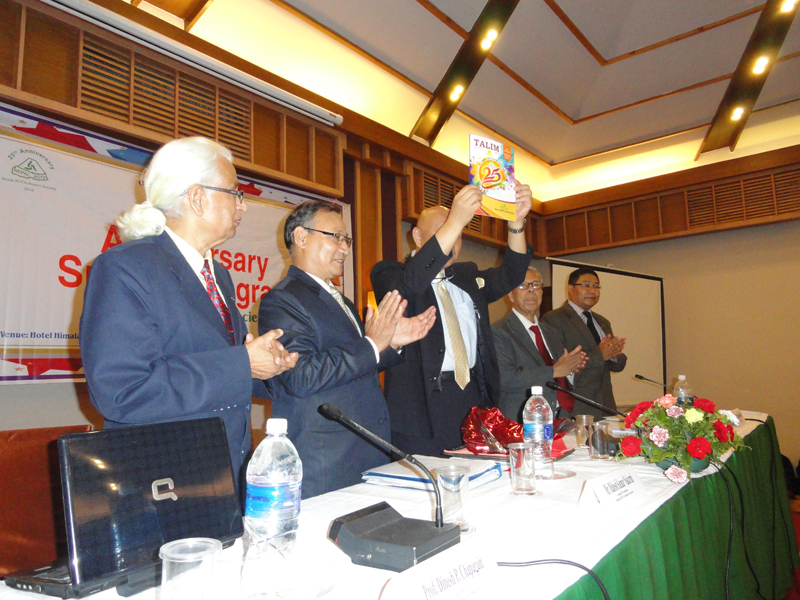 Special issue of TALIM commemorating 25th Anniversary of Nepal AOTS was launched by Mr. Joji Tateishi, Senior Managing Director, HIDA, Japan. 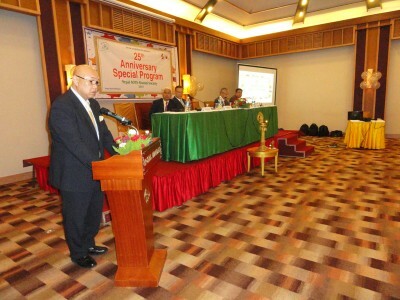 Award Committee of Nepal AOTS honored members of Nepal AOTS who have relentlessly contributed their service to Nepal AOTS since its inception 25 years back. His Excellency Mr. Masashi Ogawa, Ambassador of Japan to Nepal was the guest of honour. 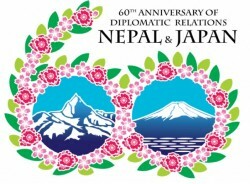 Celebration of 25th Anniversary of Nepal AOTS Alumni Society, was a huge success with a wide participation from officials from the Government of Nepal, officials from Embassy of Japan at Nepal, officials from HIDA/AOTS, Japan, Nepal AOTS members and members from other institutions representing Nepal-Japan relations.